The Friends of Harrogate Hospital & Community Charity is a committee of volunteers who carry out fundraising for the benefit of patients at Harrogate and District NHS Foundation Trust. The Friends also have Friends – Thank you to our supporters! The Friends of Harrogate Hospital and Community Charity is a group of volunteers who carry out fundraising for the benefit of patients at Harrogate and District NHS Foundation Trust. We hold a range of events and organise fundraising activities to raise money for state-of-the-art hospital equipment. In a typical year, we raise between £50,000 and £200,000 and support around 30 different projects for wards and departments across Harrogate Hospital. Every penny is spent in consultation with Trust staff so we can ensure that we’re doing the very best for the patients. We raise funds to provide things that the NHS can’t cover, improving the experience of patients and making their treatment, whether in hospital or in the community, that bit more pleasant. With your help, we can go above and beyond to make a real difference to patients and their families. The 11th Annual Big Picnic organised by the Friends of Harrogate Hospital and Community Charity took place on Sunday 9 July and raised an amazing £9,000 which is being used to fund two specialist hoists within the children’s ward and the Child Development Centre at Harrogate District Hospital. 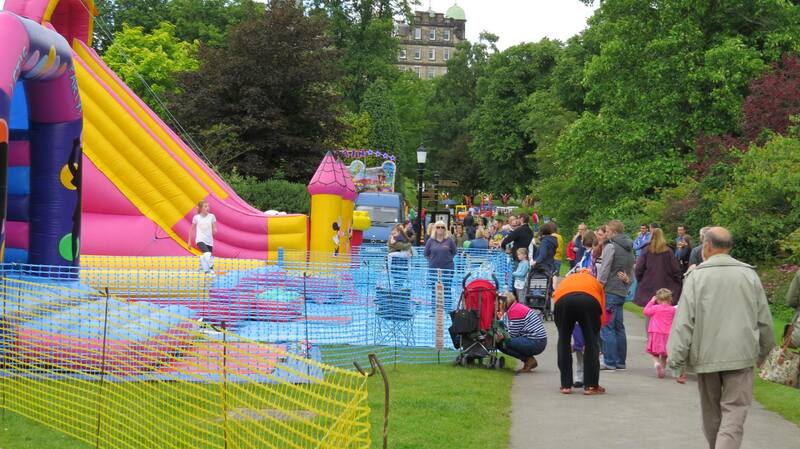 The Big Picnic has grown and grown over the years with over 28,000 people visiting Valley Gardens during the event, raising vital funds for Harrogate Hospital and also supporting many more organisations that had their own stalls. The event was a great family day out with everything from tombola’s to bouncy castles and hook-a-duck to archery. The event was supported by Procter and Gamble who donated household goods and toiletries for the Friends to sell, William H Brown who kindly printed and distributed our promotional leaflets and as ever Fishers Transport supported us by storing and delivering all the goods to the Big Picnic site. We also had sponsorship from Ask Italian and Smiths the Rink. The event was supported by a team of volunteers including Rotary Club of Harrogate who provide expert marshalling for the event. The 2018 Big Picnic will be on Sunday 1 July 2018, and we are looking at making it bigger and better. The 10th Annual Big Picnic organised by the Friends of Harrogate Hospital and Community Charity took place on Sunday 3 July and raised an amazing £7,000 some of which is to be used to fund new vital signs monitors for the Children’s Woodlands Ward at Harrogate Hospital. The Big Picnic has grown and grown over the years with over 23,000 people visiting Valley Gardens during the event this year, raising vital funds for Harrogate Hospital and also supporting many more organisations that had their own stalls. The event was a great family day out with everything from tombola’s to bouncy castles and hook-a-duck to archery. The event was supported by Procter and Gamble who donated household goods and toiletries for the Friends to sell, William H Brown who kindly printed and distributed our promotional leaflets and as ever Fishers Transport supported us by storing and delivering all the goods to the Big Picnic site. The event was supported by a team of volunteers including Rotary Club of Harrogate who provide expert marshalling for the event. 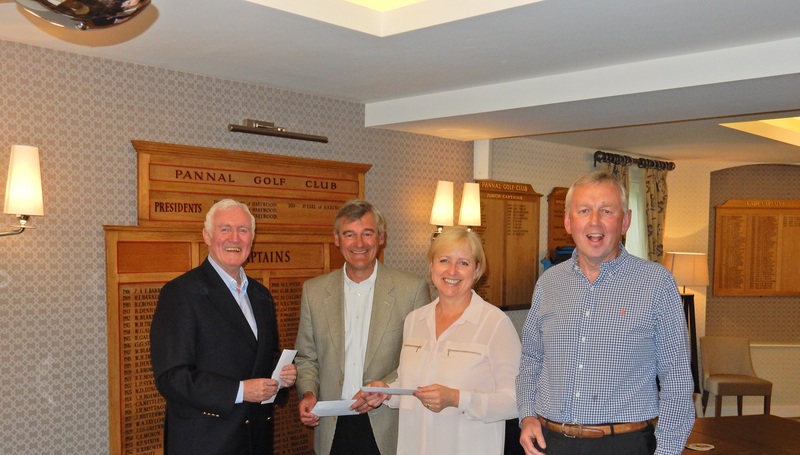 The Friends of Harrogate Hospital and Community Charity held their first annual Golf Day at Pannal Golf Club on Wednesday 27 May, hosted by former Pannal Club Captain and Chairman of the Friend’s group, Ian Elliot. Forty eight golfers braved the wind and rain to play the stunning open qualifying course, raising £1,400 in the process. BMW Stratstone kindly sponsored the event as well as offering up a car for the Hole in One Competition on the 17th. Unfortunately, no one managed to get that elusive hole in one, but with better weather, next year might be different! The overall winners on the day with 85 points were the Pannal team of Colin Greenwood, Natalie Boyle, Tom Boyle and Simon Bradburn, beating the team from Cardale Asset Management in second place by just one point. The Raworths team came in third. Other prizes on the day included nearest the pin on the 3rd hole won by Nick Rusling and nearest the pin in two on the 18th which was won by Dr Ian Smith. Harrogate and District NHS Foundation Trust would like to express their sincere thanks to the main sponsors of the event, BMW Stratstone for their generous support of the day. They would also like to extend their gratitude to Smiths the Rink, Pannal Golf Club, Rudding Park Golf Club and Tony Brooks. When a new White Stuff shop opens, they choose a local Charity Partner who they then support through a number of initiatives including selling sweets to customers, and holding regular fundraising events in store from tombola’s to serving tea and cake to customers while they shop. When they opened in 2011, one member of staff was a Young Volunteer at the Trust and nominated The Friends of Harrogate Hospital and Community Charity and, since then, The White Stuff have raised over £10,000 for the Friends of Harrogate Hospital funding equipment for the our children’s services throughout the hospital including the Child Development Centre and Special Care Baby Unit. Thank you to all staff who put so much effort into their fundraising and to all staff for their very kind support. High Moor Farm Park Caravan Park has been supporting the Friends of HH&CC for over 40 years, raising well over £80,000 in this time. The family owned site raises funds throughout the year by holding raffles in their club room and in their golf club, and also have a system of fines and charges for campers which are added to the funds which enables them to make a donation of around £2,000 each year. Thank you to the amazing support of all at High Moor and all who contribute when visiting! Procter and Gamble (P&G) have been a fantastic support of the Friends of HH&CC since 2007 when the Big Picnic was launched. Starting as a World Record attempt to host the world’s biggest egg and spoon race on Harrogate Stray with a stall selling P&G products to boost profits on the day; The Big Picnic has evolved into a fantastic event for all the family in Valley Gardens, still with a P&G stand at the heart, but now including over 40 different stalls, bouncy castles, fairground rides and entertainment for the 23,000 visitors coming through the gates. The support of P&G has enabled the Friends to fund vital equipment for all of the Paediatric departments including a light sensory room in the Child Development Centre, a Projection computer games machine in Paediatric Outpatients and this year, Vital signs monitors for the Woodlands Children’s Ward. Fishers Transport of Harrogate store and deliver all the goods donated by P&G to the Big Picnic and other events we organise at no cost to us. This invaluable service helps to free up the dining rooms and garages of the Friends own homes where they used to be stored! Our volunteers come from many different backgrounds. Some have recently been treated by Harrogate and District NHS Foundation Trust and want to repay the excellent care they received. Others simply want to improve the experience of others undergoing treatment. All are committed to making a difference. We encourage our volunteers to get involved in a wide range of varied roles, and there are options for everyone, no matter how much or how little spare time you have. Some volunteers offer the occasional extra pair of hands at one of our activities; others are able to offer particular skills such as financial accounting or marketing. There is no typical Friend of Harrogate Hospital and Community Charity and we want to hear from anyone who is interested in improving the lives of patients. Whether you’re interested in organising events, meeting new people or simply making a difference, we’d love to welcome you into our community.